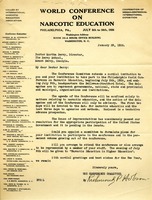 Mr. Hobson extends an invitation to Martha Berry asking her to represent the Berry Schools at the Philadelphia World Conference on Narcotic Education. 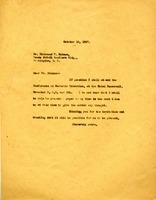 In this letter Richmond Hobson tells Martha Berry that she has been appointed as delegate to represent Berry College at the World Conference. 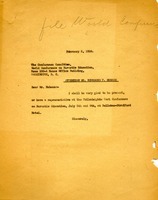 He also suggests that she work on Committee 3 that deals with Methods, Documents and Pedagogy. 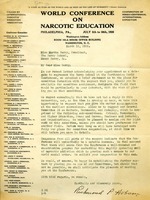 Miss Berry will be attending the World Conference on Narcotic Education. 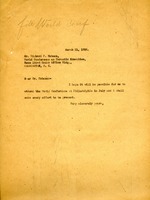 Miss Berry informs Mr. Hobsen that she shall possibly attend the World Conference in Philadelphia during July.